With a strong range of both new and used vehicles www.motorpoint.co.uk has a car to suit every buyer's needs, whether it's a hot hatch, a sports coupe or a family vehicle. 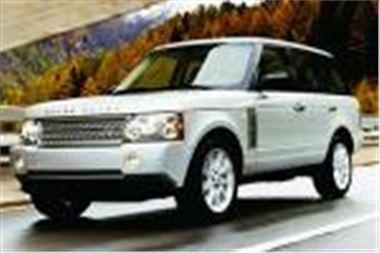 New Land Rover Range Rover estate 3.0 TD6 HSE 4dr Auto with delivery mileage for £44,999 saving £5,368. New Fiat Multipla Estate 1.6 Eleganza 5dr with delivery miles for £10,599 saving £5,193. New Chrysler Crossfire Coupe 3.2 V6 2dr Auto with delivery mileage for £21,999 saving £4,438. New Subaru Legacy Sport Tourer 2.0 RE 5dr with delivery miles for £15,999 saving £3,253. New Seat Leon Stylance 1.9 TDi 5dr with delivery miles for £11,999 saving £2,473. 'Clearprice' part-exchange offers. ‘ClearPrice’ combines live data from HPI, DVLA, CAP, SMMT and Glass’s to identify and accurately value a customer’s car in seconds. For general enquiries readers can call Motorpoint's telesales team on 0870 1254341, or log on to www.motorpoint.co.uk or visit one of Motorpoint's four sites in Derby, Burnley, Glasgow site and Newport South Wales.